To see the item description please hold your mouse over the activity you would like to see the description for. Brooke Hills Park offers an 18 hole, par 3 executive golf course. Foot Golf is now here at Brooke Hills Park!! Come out and check it out! Disc Golf will be available by Memorial Weekend. Opened in 2003, this course is fun for the whole family. Need a little time away from home? Stay a few days and nights out at the park. Throw your next party or family get together at one of our many shelters. Formerly known as “Happy Hills Farm”, over 55 years ago, the Gist Family willed 750 acres to Brooke County, and it was named Brooke Hills Park. The road leading into Brooke Hills Park was originally known as Hinkson Road (now Gist Drive). W.C.Gist ‘s home is located on the right side of the road and was built in the early eighteen hundreds. W.C. Gist served as Brooke County Agriculture Agent for 30 years and he was instrumental in providing rural homes in the county with electricity. 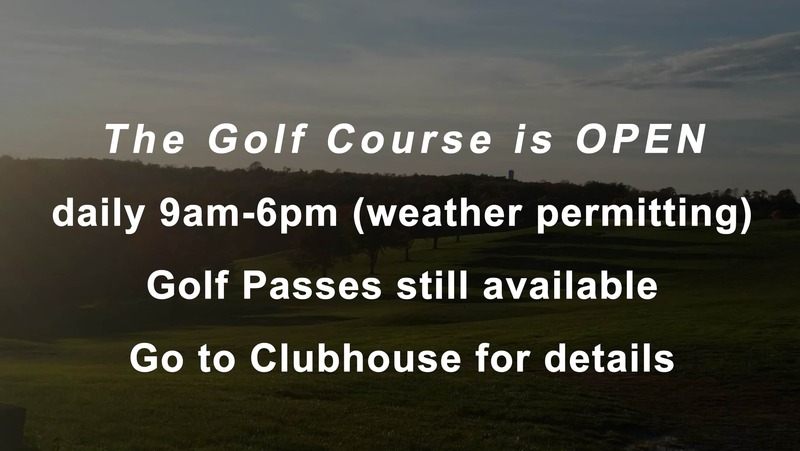 Come on out and enjoy the view, play a few rounds of golf and explore the grounds.